On Sunday May 21, in the presence of family, friends, and industry professionals, Roger Waters provided a first-look into the tour he's set to embark upon, and debuted songs from his first album in 25 years, Is This The Life We Really Want?, set to come out June 2. Billboard described Waters' 2-plus hour show as a concert that brought old and new music together, in epic proportions. "The show -- trippy, but not just for hippies -- is a journey, as is Waters’ wont both solo and as a member of Floyd. But although the group's vision was best illustrated through hugely successful concept albums (including 1979's 23x platinum-selling The Wall), the songs easily stand alone as well; or serve as part of the bigger picture Waters has put together with his well-balanced set list." The rehearsal gave concert-goers a detailed picture of what's to come with Us + Them. In the rehearsal, Waters performed songs from The Dark Side of the Moon, The Wall, Wish You Were Here and Animals, and even a casual classic rock fan will find much to relate to in his set. His new material, especially "Déjà Vu" (previously titled, pre album-release, as "Lay Down Jerusalem (If I Had Been God)") and “The Last Refugee,” are particularly potent lyrically, with commensurate visuals that are often painful and beautiful at once. 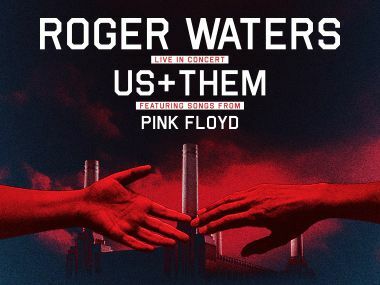 Just ten days after the release of his latest musical venture, Waters will bring the Us + Them Tour to Golden 1 Cener, June 12!